Snap Reaction To New Initiatives Is Great, But Can Spiegel Sustain This Win Streak? Insights: Snap Reaction To New Initiatives Is Great, But Can Spiegel Sustain This Win Streak? It’s been a long while coming, but Snap finally had some things to celebrate the past few days. Now to see if the company’s beleaguered shareholders and remarkably loyal young user base can keep celebrating for a while. In its first-ever partner summit last week, the company announced a slate of new episodic original shorts, further investing in keep-’em-around content to help improve user engagement. Initial shows had some successes, though none of the names involved so far are big outside of Snap’s own universe. But the originals are another reason for users to stick around, and Snap is doing a Donald, playing to its base of ardent teen users and building from there. 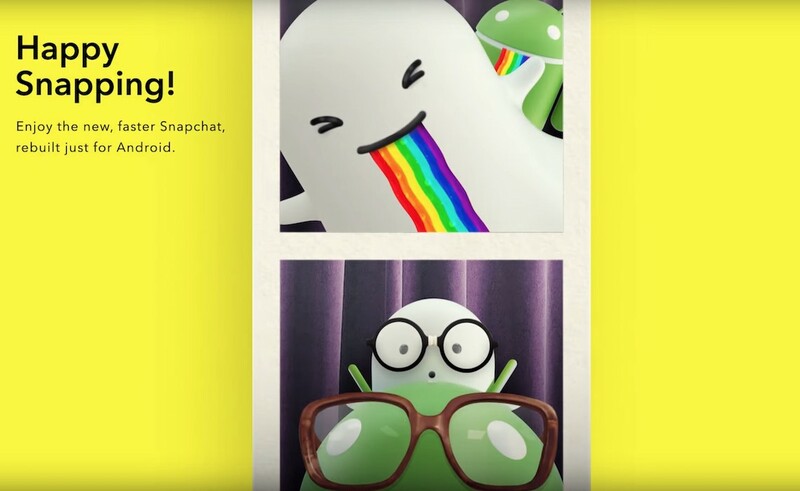 Snapchat also is getting into the multiplayer game business, another way to retain users. Bitmoji Party is hardly a game for the history books, beyond being one of Snapchat’s first 10 such titles, but skeptics should remember how much even crappy casual games helped drive Facebook user engagement in the years right after it went public. More generally, the company also announced a long string of integrations with other prominent companies, including Venmo, Fitbit, Tinder, Houseparty, VSCO, GoFundMe, Amazon, Breaker and Anchor (with these latter two, you can share my Bloom in Tech podcast through Snap; get to it, O loyal fan base). Snap also announced integration deals with prominent apps out of India and the Middle East, showing some international ambitions just as it’s rolling out in the vast Indian market in a serious way. Wall Street likes seeing rising user-engagement numbers, i.e., the time people spend on an app. What they really like are new ways to make money. Both games and original content will do that, boosting Snapchat’s advertising and branded content, another big win if they do it right. More importantly, the company is effectively trying to build a mobile ad network, by selling ads that run inside sites other than its own. It’s a way to make more money without adding more users. Instead, Snap will harvest more value from the ones it already has. As the always-wise Wall Street analyst Rich Greenfield of BTIG Research put it, the moves represent “less camera, more platform” for a company that famously described itself in its IPO as a camera company rather than a social-media site. In reaction to all that, Snapchat shares are at their highest levels since last summer, up 123% since the start of the year. Finally, the company rolled out a long-, long-, long-overdue rewrite of its Android app, along with a a heavy marketing campaign with a handful of videos to promote it. The Android version was notoriously bad, far worse than the iOS version. That the difference remained for so long must count as some special sort of corporate/technological malpractice. Pro tip for all you young CEOs out there: Creating a better user experience on the most widely used mobile operating system is a really good idea when your business is built solely on mobile devices. It’s particularly important if you’re going to try to expand in international markets such as India that overwhelmingly use Android phones. Snap is also settling in to its fancy new office space next to the Santa Monica Airport (and Activision and Sinclair’s Stirr operations) in suburban Los Angeles, after years scattered across nearby Venice rentals. Reports from inside the notoriously secretive company suggest that the consolidation has reduced the siloing and isolation many workers felt previously. And all this is happening amid what must feel like karmic payback to chief Snap torturer Mark Zuckerberg and his Gang That Can’t Shoot Straight over at Facebook. Those are the same folks who so mercilessly copied Snapchat’s best features into Facebook, WhatsApp and Instagram. As Instagram took off in pop culture, Snap nearly burned to the ground. Its stock price dropped below $5 a share, cash got tight, Kendall Jenner flounced off, and so too did many users unhappy about a failed redesign of Snapchat’s famously obscure interface. Since then, however, Facebook has floundered through a relentless string of largely self-inflicted injuries. The company’s reputation is in tatters (only 6% of Americans said in a new poll that they trust the company) and its valuation dropped by $250 billion (it’s since recovered about half that). It’s enough to make you think either the Calvinists or the Buddhists are on to something about right living. Amid all this good news about Snap, however, there are plenty of reasons for continued skepticism. First of all, the company has to actually keep building all the original shows, games, ad network, Android app and other projects they’ve finally begun to deliver. It’s not heartening to hear about the long development cycle the company needed to get that new Android app out the door. This one took way too long, more than two years, yet another reason why giving a 27-year-old CEO majority control of a publicly traded company can be a bad idea. Keep that in mind as you look at all the money-losing IPOs with supervoting classes of stock that are hitting the stock market right about now. And while creating original shows and games makes a lot of sense, making them consistently enjoyable and useful is much more complicated. You can ask Zuck how things are going with Facebook Watch and Live. And truth be told, for all its horrendous missteps, Facebook isn’t going away, even if Snapchat users strongly believe it’s only good for the Olds, if that. Much more importantly, Instagram isn’t going away either. Right now, for instance, thousands of high school seniors are checking out the Class of 2023 pages at whatever colleges admitted them, deciding which crew they want to hang with for the next four years of their lives. They can’t do that with Snapchat. And looming on the horizon, making a sound not unlike Peter Pan‘s alarm-clock-swallowing crocodile, is Chinese karaoke-video king TikTok. A lot of teens and tweens who otherwise might be on Snapchat are hopping on that train instead. The recent explosive success of the song “Old Town Road,” by the unlikely hit-making combination of Lil Nas X and Billie Ray Cyrus, showed TikTok has gotten big enough that it can launch a crossover music hit, too. You can bet the always-influential music industry is watching closely. So for all the inner peace and outer progress Evan Spiegel and his team have achieved the past few weeks, it’s good to remember that long-term success won’t occur in a Snap. And it’s not clear it will occur at Snap, either.